This crimson cap from ADIDAS has a structured front with raised HOOSIER embroidery and the word football below. 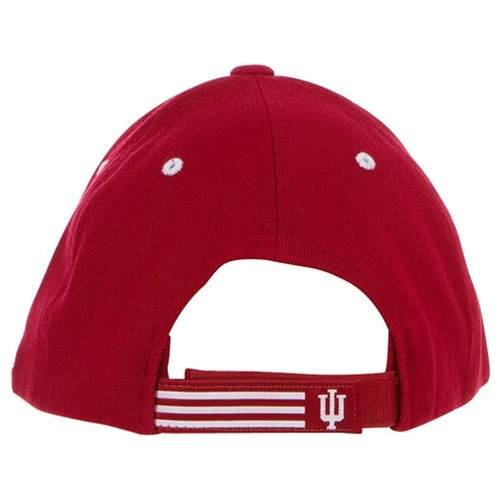 The ADIDAS logo is embroidered in white on the sode of the cap and the back strap closure is velcro with an IU logo on the strap. 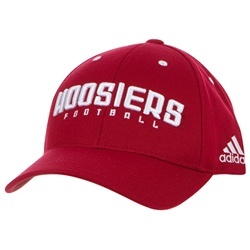 Great for games!